Egg dyeing is a fun way to celebrate this time of year—and it’s a tradition that goes way back—as much as 5,000 years when Persians celebrated springtime with eggs colored with plant-based dyes. Plant dyes can be just as useful today and they’re plentiful; in fact you very well might have dye-worthy ingredients in your kitchen already. 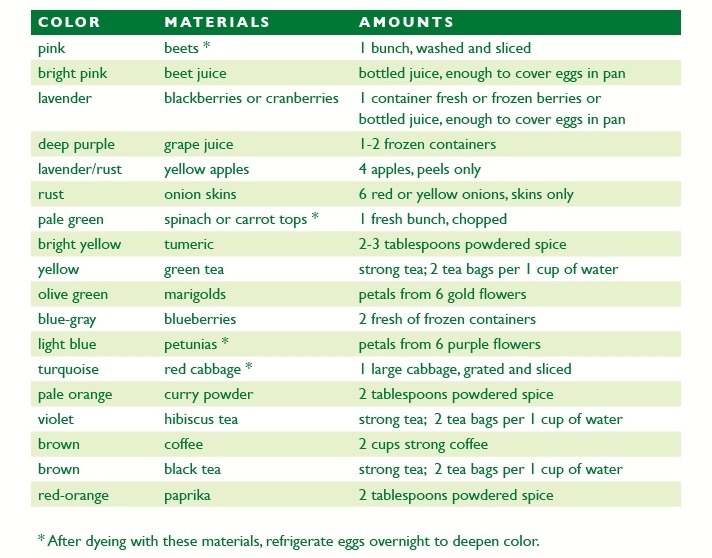 Here are some great plant-based dyes—fruits, vegetables, spices and flowers.